WE ARE LOCATED IN THE NORTH PART OF TOWN AT 2333 N. HOBART ST. WE ARE APPROXIMATETY 1 MILE SOUTH OF THE PAMPA REGION MEDICAL CENTER HOSPITAL AND 3/4 MILE SOUTH OF THE WALMART. The Pampa Social Security office is located in Pampa 79065. The following page includes information for this location like the office phone number, hours of operation and driving directions. 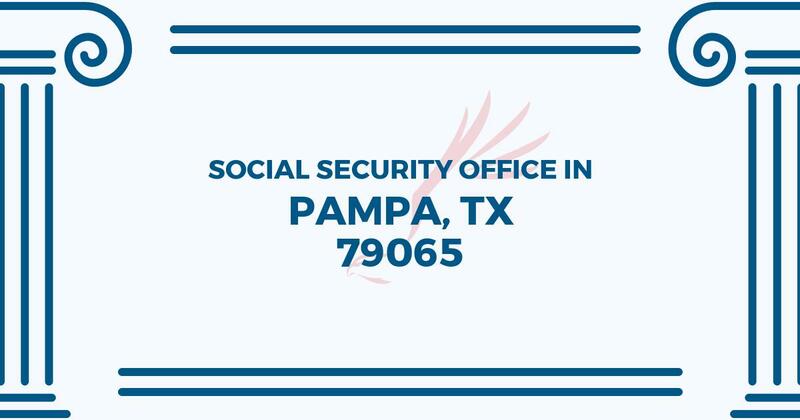 If you have any interests or comments about your retirement benefits or are interested in making an appointment, call the following Pampa Social Security office. The Pampa Social Security office is located at 2333 N Hobart St. The Pampa office shares information, advice and services directed by the Social Security Administration. The following page provides information for this location like the office phone number, hours of operation and driving directions. If you have inquiries or concerns about your retirement Social Security benefits, or you need to schedule an appointment, contact the Pampa Social Security office. So glad to have an office that’s accessible without having to drive to a Amarillo and have long waits.. Office staff are great to answer questions and very helpful..